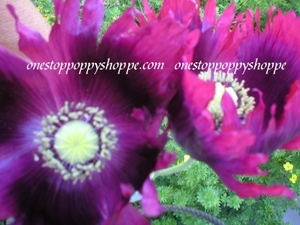 PapaverSomniferumSeeds.Com - Papaver somniferum Poppy Seeds. Choose and Buy 26 Varieties. 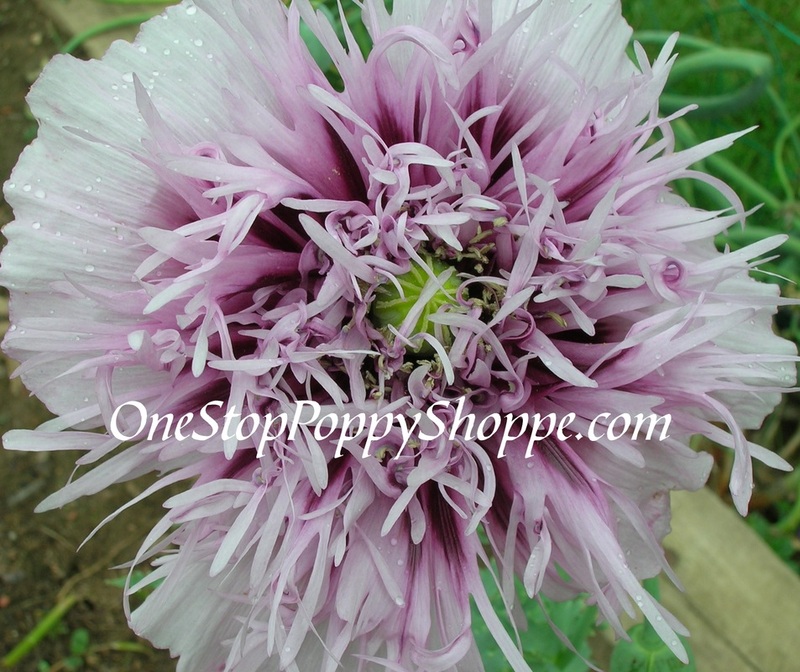 With so many colors to choose from flower gardeners may have difficulty choosing from all the Papaver somniferum seed varieties available today. California poppies are great for edging plants because of their smaller size. Oriental poppies are gorgeous Spring perennial plants and the Himalayan varieties are perfect for that hum drum shady spot. When choosing poppies for your beds and borders don't look past the spectacular breadseed poppy. An incredible annual variety, Papaver somniferum will take center stage livening up the garden. 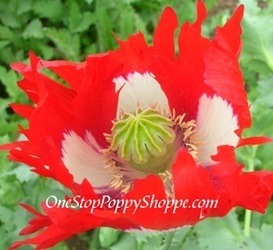 Growing 2 to 4 foot tall depending on the variety, these poppies can be easily placed through-out your vegetable gardens and flower gardens. 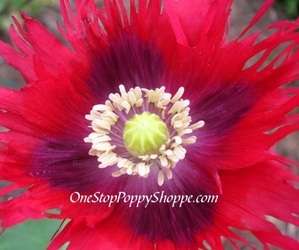 Placed in the middle of your garden they will provide a welcome splash of color to any flower bed, and being available in a wide range of different hues, the perfect poppies needed for contrast can easily be found. 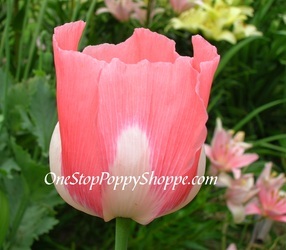 The Papaver somniferum variety Queens is pink with a white center, offering graceful tulip shaped blooms that will compliment other herbaceous plants and flowering shrubs. 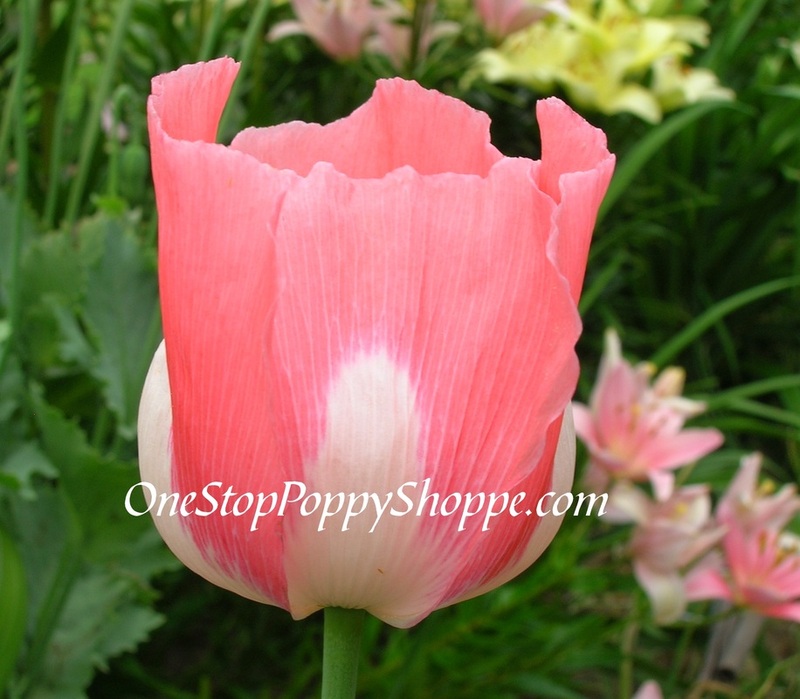 The Poppy variety Album is a creamy white gracious bloom, perfect used as a backdrop for your more colorful plants. To create a special feature in your garden, use Giganteum, a real giant with big blooms and pods on 4 foot stems. Plant them between your tomato plants to provide a mostly green bed of foliage with bright splashes of color. 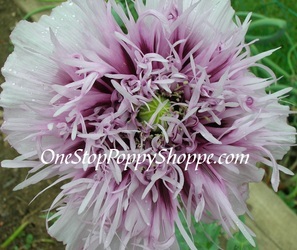 In addition Papaver somniferm will attract bees and other insects to your garden searching for pollen. And in passing by, bees and insect will also stop by your fruit and vegetable flowers to pollinate them as well. 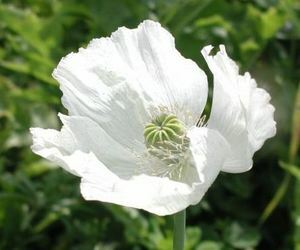 If you want to create and complete a poppy collection from seed, your gardens should not be without the wonderful Papaver somniferum varieties. And with such a large range of colors and with their unusual shapes, it is a wonder how they could be forgotten. The Red and White Danish flag and the dramatic Drop Dead Gorgeous Mix will bring intense drama to your garden while the pinks and lavenders offer traditional poppy colors. The lavender semi-double with it's feathered petals provides a pleasant variation from the normal single petaled Papaver somniferum varieties, as does the the bright red Single Scarlet Fringed with its heavily fringed edges. And with gardeners wanting more poppies every year these plants will produce plenty of viable poppy seeds to share with friends. Papaver somniferum seeds will thrive in most soils and with your collection growing every year you can be sure of brilliance in your Spring and Summer gardens.